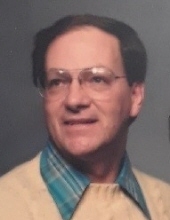 Gaines , Dennis E. - Age 82, formerly of Flint and Barbeau, Michigan, died September 12, 2018. Services will be held 11:30 AM, Saturday, September 15 at Crestwood Memorial Cemetery, Grand Blanc. Arrangements are being handled by Sharp Funeral Home and Cremation Center, 6063 Fenton Road, Flint. Those desiring may make contributions to the Alzheimers Association. Dennis was born January 11, 1936 in Flint the son of Doyle E. and Priscilla L. (Maclin) Gaines. He was a 1954 graduate of Hoover High School. He owned the Gaines Resort on Neebish Island, MI (a fishing and hunting resort) for 20 years. He loved the outdoors and enjoyed his daily walks around Neebish Island. Surviving are: brother Ken; sister Vonnie; and many special nieces and nephews. He was preceded in death by his parents; his wife Janice; and siblings. Tributes may be shared at www.sharpfuneralhomes.com. To send flowers or a remembrance gift to the family of Dennis Esco Gaines, please visit our Tribute Store. "Email Address" would like to share the life celebration of Dennis Esco Gaines. Click on the "link" to go to share a favorite memory or leave a condolence message for the family.